The Galician Palliative Care Coordination Center is part of the Public Health Service in Spain. We are collaborating in translation of the SPICT into Spanish. 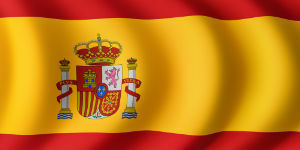 Our interest is to study the psychometric properties of SPICT in the Spanish population. We have previous experience of testing the reliability and validity of the Medical Outcomes Study Social Support Survey (MOS-SSS) in Portuguese. The palliative care services in the Balearic Islands are collaborating in the translation of SPICT into the Spanish language. They hope that SPICT will help GPs identify patients for palliative care. The CUDECA Hospice Foundation in Andalucía have collaborated in the translation of SPICT into the Spanish language. They hope that SPICT will help professionals to early identify patients that would benefit from palliative care.